Foxconn offers bonus to employees who will stick around to assemble the 2018 iPhone models? With Apple expected to unveil the 2018 Apple iPhone models sometime within the next eight weeks, contract manufacturer Foxconn has been looking to add more assembly line workers to help build the devices at its factories in Zhengzhou, China. As an incentive to get the number of workers it needs to keep the lines humming, Foxconn is offering a one time bonus to employees who renew their contracts. The bonus amounts to 2,000 CNY ($295 USD) and is expected to be offered through November. Despite offering the bonus, Foxconn reportedly is watching every penny it spends on pre-production costs for the new iPhone models. Last year, the company spent so much money gearing up for the production of the iPhone X, it reported lower than expected profits for the fourth quarter of 2017. Foxconn is trying not to repeat itself this year. 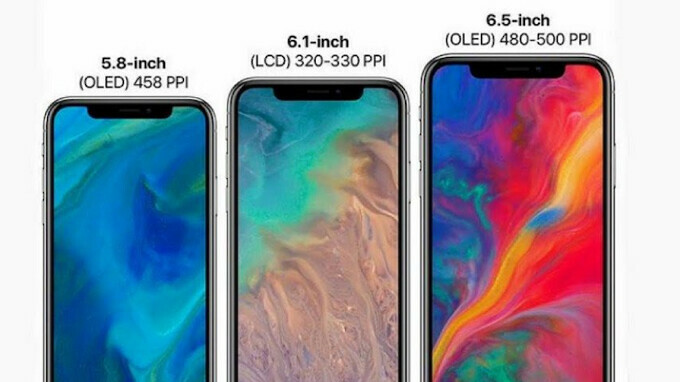 Apple is expected to unveil a trio of new models this year including a 5.8-inch Apple iPhone X sequel, a 6.5-inch iPhone X Plus model, and a 6.1-inch iPhone 9. The latter device will carry an LCD display while the other two handsets will sport OLED panels. All three phones are expected to include the A12 chipset, built by TSMC using the 7nm process, and the TrueDepth Camera. Despite a rumored promise that the administration supposedly made to Apple CEO Tim Cook about sparing the iPhone from the current U.S.-China trade war, Apple's hopes to lower its pricing for the new units might depend on whether the company is willing to accept lower profit margins for its new phones. Lol snotrag, that's being generous. This is not darkjedi, this is a fake account, right? If so I’m so jealous. Darkjedi got an admirer already. Don’t know why, but the “X” moniker has always bugged the crap out of me. Not just on iPhone, but anything that uses it. Just use “10”. So the Chinese laborers can continue to slave away making a phone they can't even themselves afford. Despite that amazing $295 bonus.